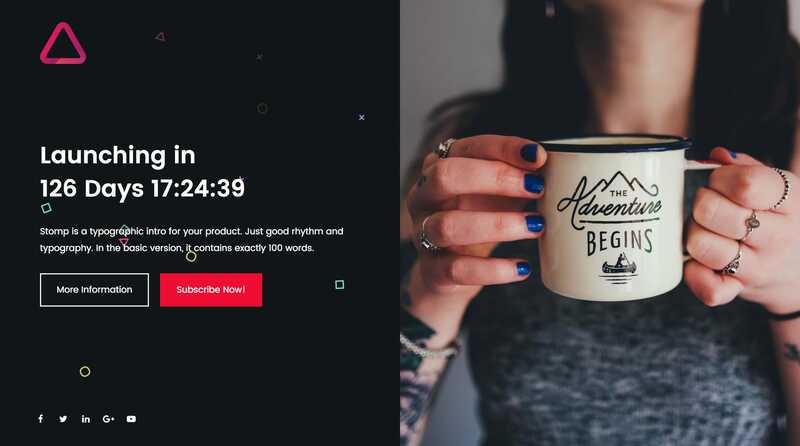 ‘Stomp’ is a unique One Page HTML template with a vibrant, typographic intro animation. You simply enter up to 100 words and the generator creates your announcement that preloads before the One Page website. Featured here and below is the demo with the centrally-divided layout, countdown timer and cool floating shape background. Great to see theme authors spicing things up!